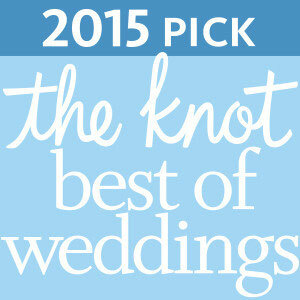 Our Weddings Inc. team loved working with this awesome couple. 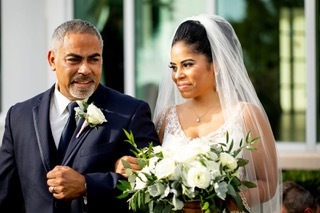 Quiana and Thomas hosted their wedding for 130 guests at the beautiful Lake Mary Events Center. 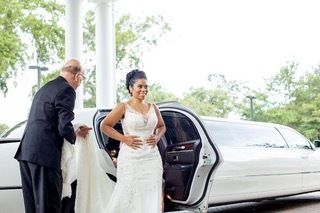 Arriving at the Lake Mary Events Center in a white stretch limousine, Quiana looked beautiful in her lace wedding gown with a sweetheart neckline. 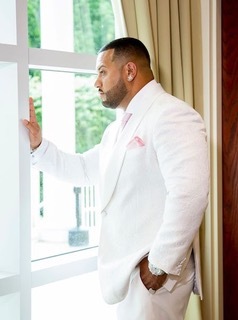 Thomas looked sharp in his white tuxedo, accented with a soft pink necktie and pocket square. 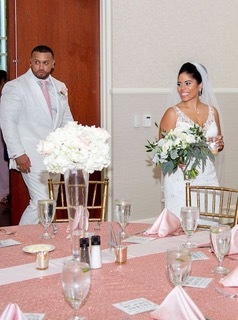 He waited patiently for his bride’s arrival, but promised not to sneak a peek. 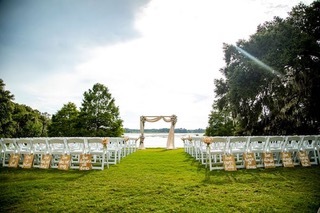 He did not have long to wait as Quiana made her way to the beautifully decorated lakeside wedding ceremony. 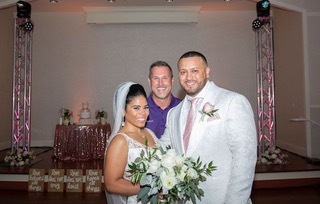 After exchanging vows, the couple and their wedding party took time for some photos before Quiana and Thomas headed to the ballroom to see how their wedding reception came together. To say that they were blown away might be an understatement. 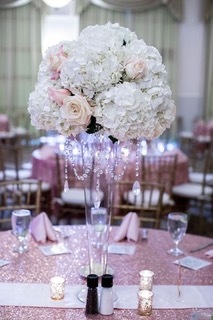 The tables were draped in pink sequin linen with pink satin napkins and full, soft, white and pink centerpieces. 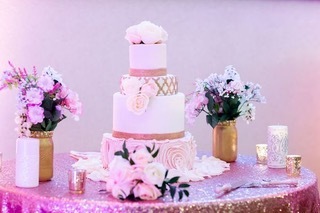 We know they loved this beautiful four-tiered gold, white and pink wedding cake. 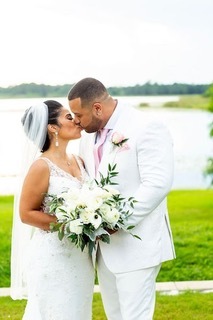 We are beyond thrilled with how this stunning pink and gold wedding came together and so were Quiana and Thomas! 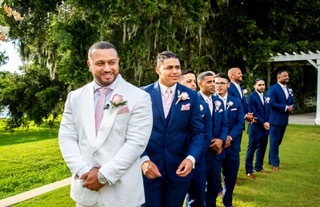 Reach out to our Wedding Inc. team to learn more about how we can design a central Florida wedding package complete with some of the best wedding vendors in Orlando.